I didn't take a great pic of the finish product, but I followed this pattern from Soulmade. 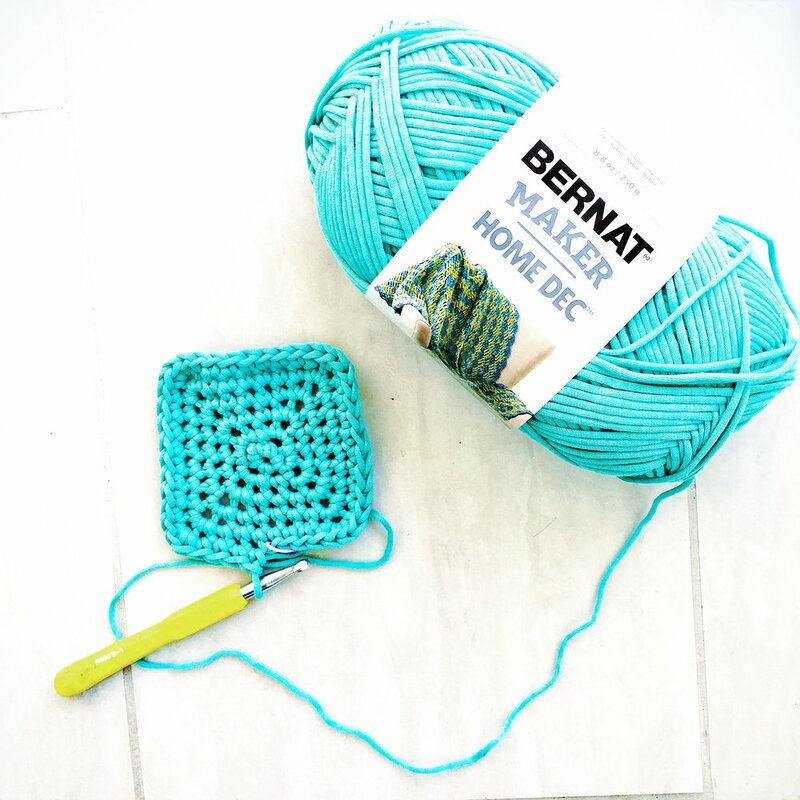 I couldn't get the yarn she has listed (but she sells it on her Etsy shop) so I used the Bernat Maker Home Decor. Love the finished piece.